Clean sweet potatoes and arrange on a baking tray; cook at 450 degrees for 55 minutes. Remove from oven and let them cool slightly before slicing each potato horizontally in half. 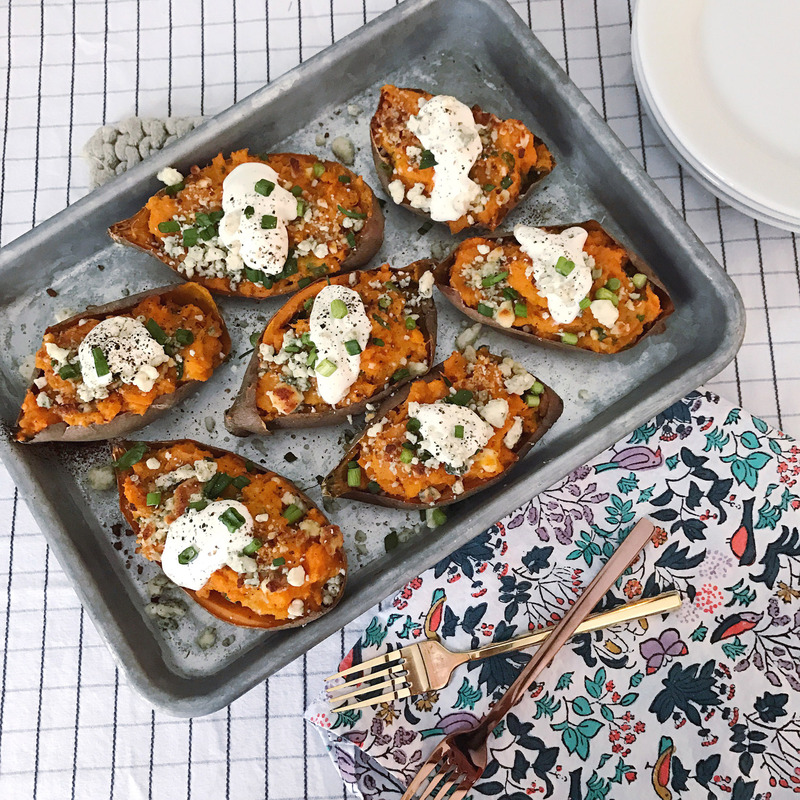 Scoop the sweet potato out of each skin and place in a large mixing bowl, reserving the potato skins on the baking tray. 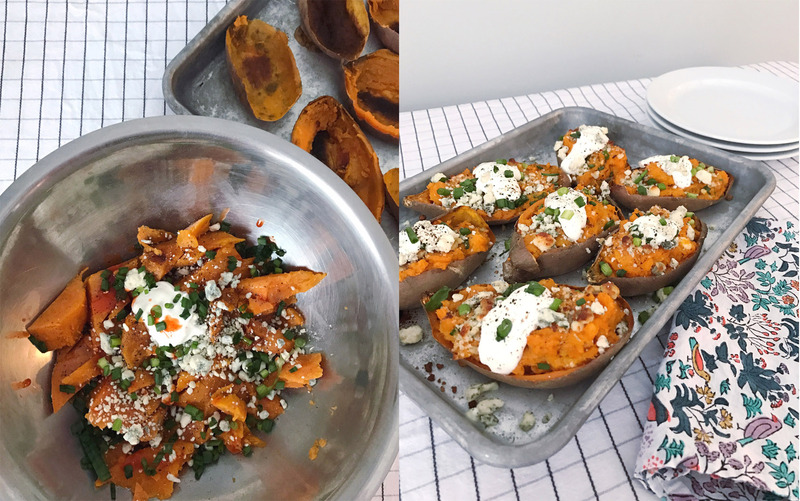 Combine the scooped sweet potato with butter, one tablespoon of sour cream, half of the scallions and half of the blue cheese, and the hot sauce. Use a potato masher to break down sweet potatoes and loosely blend the ingredients. 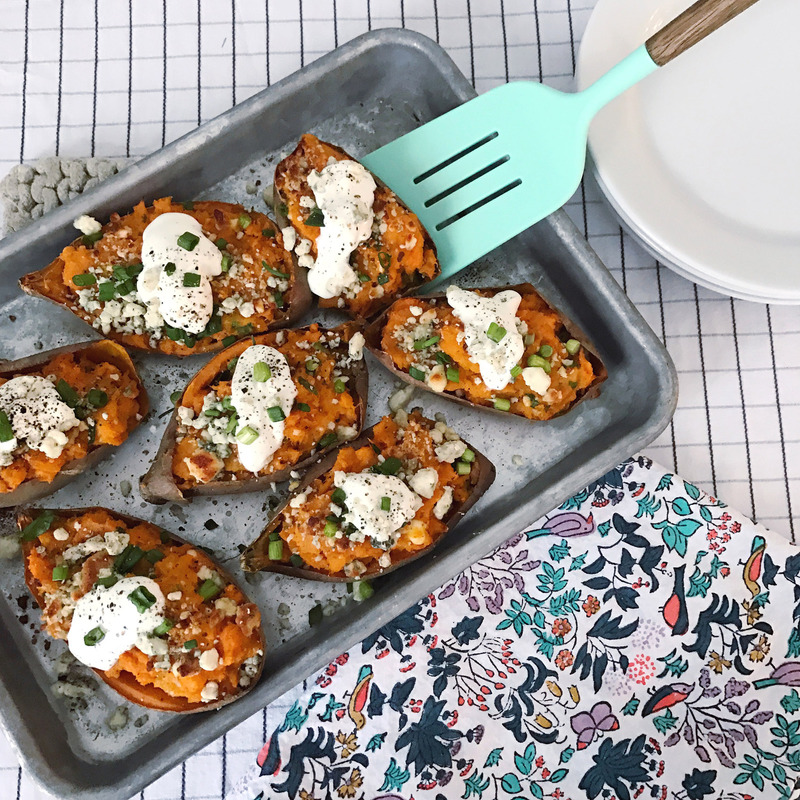 Season with salt and pepper and scoop the sweet potato mixture back into the potato skins. Crumble remaining blue cheese on top and return the sweet potatoes to a 350 degree oven for 15 minutes; increase temperature to broil for the remaining 2 minutes. Remove from oven and top with the remaining scallions and sour cream before serving. Add additional hot sauce to increase the heat if desired. Kentucky Butter Cake. 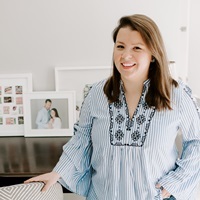 Spring Style Wish List.